Vinamilk, Vietnam’s largest milk producer, has been intensifying efforts to expand its market share in Bangladesh. Early in January, at an international trade fair in Dhaka, Bangladesh’s capital city, Vinamilk introduced its products like powdered milk, nutritious powder, yoghurt, and fruit juices to Bangladeshi consumers. The company formed a strategic cooperation relationship with Bangladeshi distributor Bigbiz to speed up the company’s expansion in the South Asian country. Bangladesh, with a population of 170 million and stable economic growth, has potential for consumer industries, including the milk industry. Local producers’ limitations have prevented Bangladeshi people from accessing high-quality milk products and Vinamilk, as a milk exporter with 18 years of export experience, believes they can fill that demand. Vinamilk and its partner Bigbiz will focus on distributing powdered milk, liquid milk and yogurt in Bangladesh and hope to become a major player in the market soon. 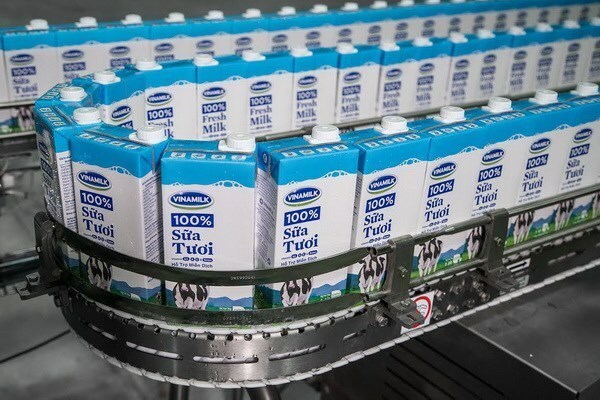 The 40-year Vinamilk is the biggest milk company in Vietnam and is striving for three billion USD in revenues to enter the world’s top 50 milk companies.